Contrary to popular belief, the Australian Shepherd is not from Australia. But why would someone name it that? Maybe it’s based on just how hardworking, intelligent and active Australians are when it comes to work. 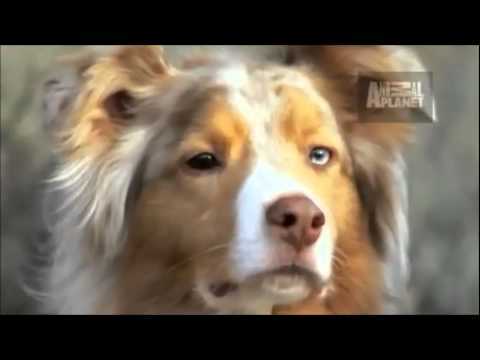 And this dog surely gives that Aussie badge the honour it deserves. 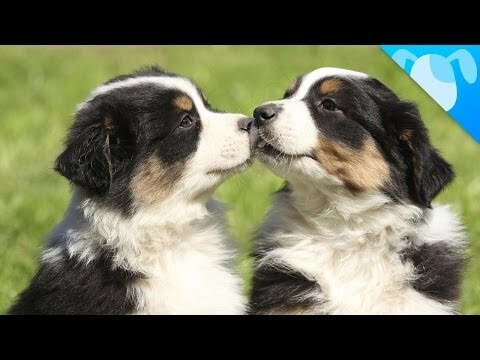 Australian shepherds, or Aussies, were bred to be working dogs. They have been in existence since the 1800s and the line continues to be improved to produce higher intelligence levels, better temperaments and extremely energetic specimen. Aussies come in many unique colours which gives you a wide palette to choose from. The predominant colour is white with large patches of black or brown or a combination of both colours. They are medium sized dogs and are well proportioned which improves their speed and agility. One of the most striking physical attributes of an Aussie is its eyes. When you look into your dogs eyes you’ll see a high level of intelligence at work at all times. Aussies are very intelligent dogs which also makes them very independent dogs. Once they establish a routine and they know what is expected of them, they will continue to perform that task until you are satisfied. They love to please their masters and will do anything to be by your side. Aussies are very affectionate and good natured dogs. But at the same time, they are also very protective of the flock they are guarding. Adding their intelligence and high energy level to the mix and you have a very effective guard dog watching over your flock. Or kids, if you have them. One setback to having a very intelligent dog with a high level of energy is that they are prone to boredom. And boredom leads to destruction of property. To save yourself from all that stress (and expensive furniture repair), give your Aussie a really good workout. Engage their intelligence with some activities that challenge their smarts. Aussies thrive best when they are given a job to do. In fact, they’re desperate to serve you in whatever capacity they can possibly muster. Giving your Aussie a good exercise will also help prevent future issues from developing like hip dysplasia, arthritis and obesity. Keep them active and you’ll have a very happy and contented dog who’ll only leave your side if you order him to do so. 1 Australian Shepherd puppies for sale near you. This breed of dogs puppies for sale was once known as the California Shepherd, the Bobtail Shepherd and New Mexican Shepherd. Today it carries the nickname the Aussie. The Australian Shepherd is loved both in the United States and in the continent of its namesake. These energetic loving dogs are terribly endearing to anyone whos ever owned one. The Australian shepherd dogs puppies for sale are descendants of Spanish dogs that Basque shepherds used in tending their flocks. The shepherds usually delivered their sheep which were being exported to the early colonies of America and Australia. The shepherds of course brought their dogs which probably mixed with collies along the way. This cross became the crude Australian Shepherd of today. America refined the breed through ranch work and attentive breeding. This is refined Australian shepherd dogs puppies for sale you can purchase today. The Australian shepherd is a wonderful worker and companion. Its lineage lends it to being a terrific herder. Its herding ability is quite instinctive. The breeds cognitive skills are as quick, agile and energetic as its body. The Australian shepherd is a dog that requires mental as well physical exercise, both in a vigorous manner. It is for this reason that this dog is not recommended for apartment living. It is not a dog that will do well with minimum exercise or being left to its own for long periods indoors. Its energy level may be a problem for apartment dwellers, but not at all for children. These dogs love children and tend to remain a kid at heart themselves well though life. They are quite playful and will tend to tire most children out before they are done. Despite their intense energy level they are easy going dogs. This quality is enhanced through training. 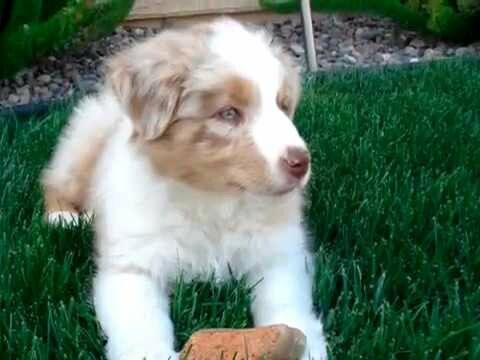 Herding is instinctual with the Australian shepherd dogs puppies for sale. This instinct has proven to be a real sore spot in many Aussie families. The dog may nip and try to herd humans if they are allowed. They are notorious for herding children. This may sound cute, but a breed that can move herds of cows by nipping them, it isnt. Not to worry, another wonderful trait of these dogs is theyre easily trained. They love to please. Break the human herding tendencies while they are young. Firm and consistent training of your puppy will put an end to any problems before they happen. Even better than just training along give your friend a job, their own responsibility. They are a lovely breed their coats are double layered for weather protection. The outer coat is long with a medium texture. The coat comes in many colors a few of which are solid red, blue merle, red merle, and liver. They are of medium size and balanced in build. They are between twenty and twenty-three inches and can weigh up to sixty-five pounds. We have dealt with one of the breeds shortcoming, being nippy, which was handled with ease. The next shortcoming of the breed is a fairly serious one for a perspective owner. The breed has a few health issues, some dog specific. Merles seem to have a problem with deaf and blindness. So be sure to check if you are purchasing a merle. The bobtail dogs may have offspring with serious spinal problems. Your vet can talk to you about other issues and advise you. These Australian shepherds dogs puppies for sale have a life expectancy of twelve to fifteen years. So, the breed can overcome these health bumps in the road. The Australian shepherds for sale are wonderful workers and better companions. The whole family will find their own reason for loving their four legged friend. This is a nice way to make your life easier and save time searching for your Australian Shepherd dog’s puppy for sale. Once your email alert is put in place, all you have to do is check your emails regularly! You can create several email alerts, should you wish to do so.